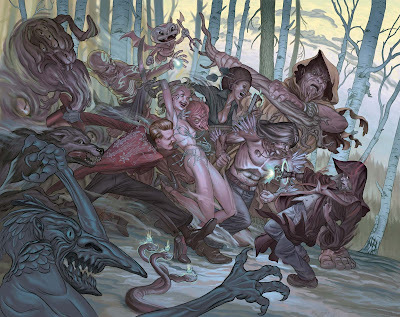 COVER OF THE MONTH: STEVE MORRIS - THE OCCULTIST #1 While magic bearers within this comic fight for possession of a spell book called the Sword, this cover in all it's Fables-ish glory is bound to start a few riots itself. What a way to start a series! CLOSE CONTENDERS: Dave Johnson - B.P.R.D. 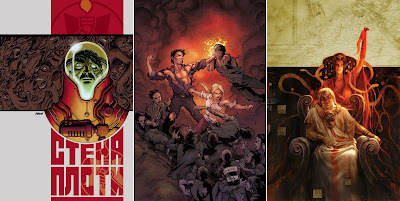 Hell On Earth: Russia #3, Georges Jeanty - Buffy The Vampire Slayer Season 9 #3, and Aleksi Briclot - Conan: Road of Kings #10. 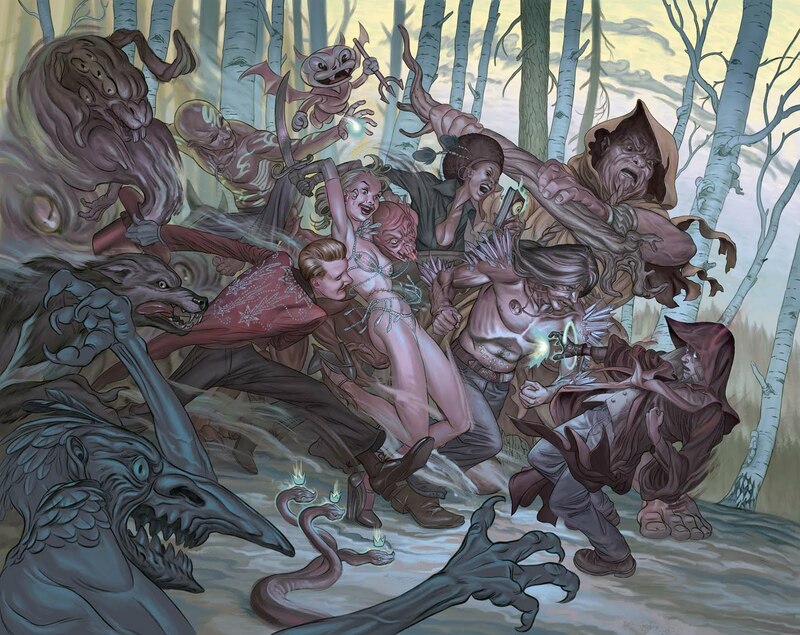 For more Dark Horse November news, click the jump.